Over the course of this budget season I have heard "Lisbon School's Special Interest Group" (LSSIG) call Councilor Pesce every nasty,vile and demeaning name in the book. They (LSSIG) have made sport of his Manhood, sexuality and intelligence and some have even threatened his job. At one Town Council Meeting attended by over 150 residents I heard one gentleman stand up and look directly at The Councilor and state "Don't send a boy to do a man's job". At the recent Council/School workshop the School Board started in on him and the other Councilors essentially calling them child haters. Through all this hatred and name calling I haven't heard Councilor Pesce utter one personal remark at the (LSSIG). It is laughable that the (LSSIG) is now feigning hurt feeling because Councilor Pesce is using the correct terminology to describe their greedy group. LSSIG is undeniably the quintessential "special interest group". 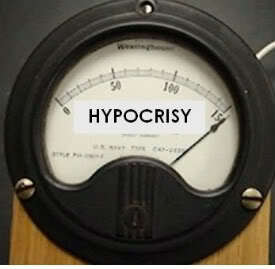 I can think of another term that correctly describes the LSSIG and that term is HYPOCRITE .